The RAM-4X Firetube Boiler Cleaning System is equipped with a full 1 HP (0.75 kW) drive motor. 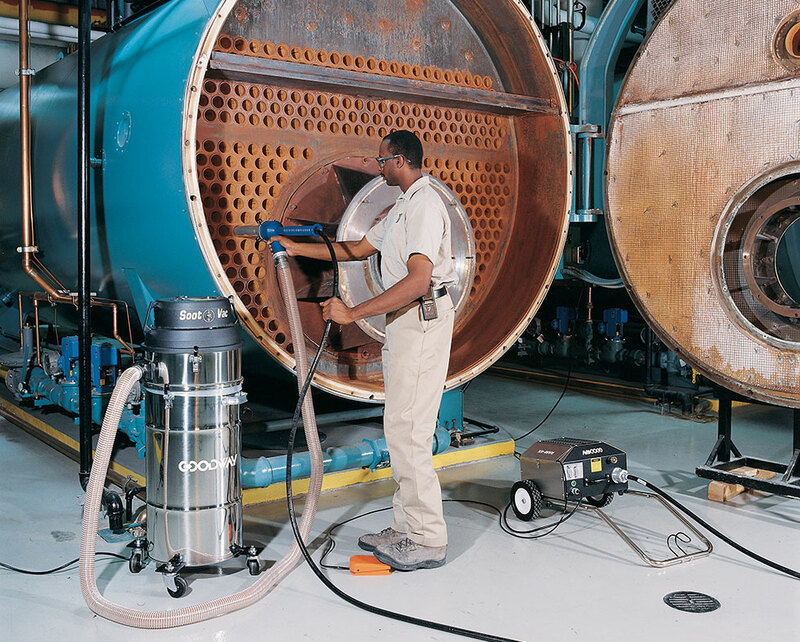 It uses a cleaning tool mounted to the tip of a heavy-duty flexible shaft and a simultaneous vacuum to remove scale and other deposits from boiler tubes 1" (25.4mm) I.D. and up. RAM-4X Firetube boiler cleaning system, mobile dolly, tool storage box and foot switch, dry pickup attachment, 2" x 12' hose, 18" straight bayonet nozzle, 25' GTC-721G flexible shaft, spring filled brush and GTC-540 series vacuum. When cleaning soot is the job at hand, the GTC-540 Soot Vacuum delivers remarkable results. 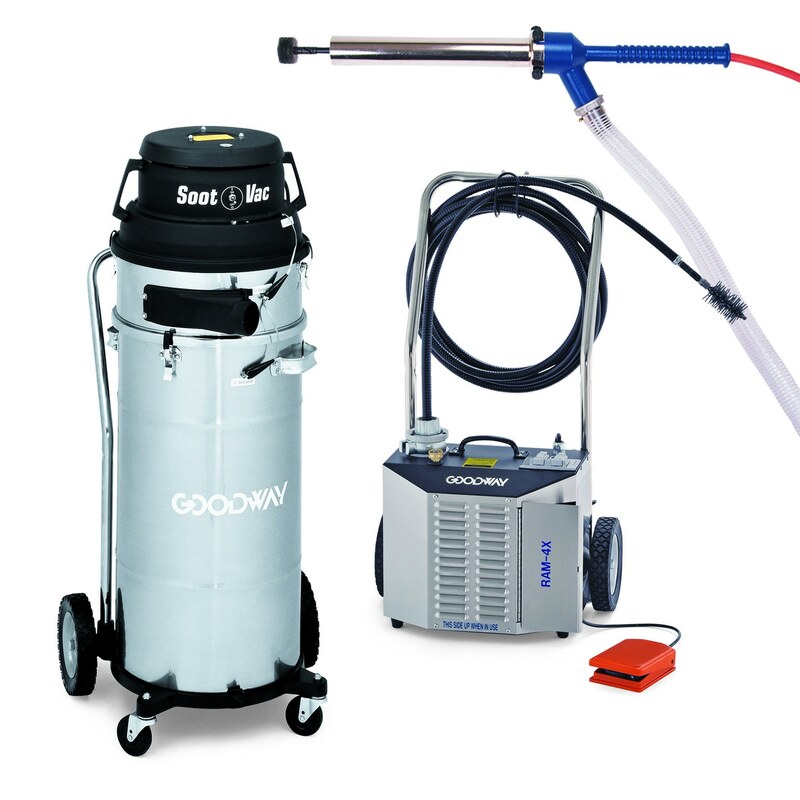 System can be used alone, or with fire tube boiler cleaners from Goodway.